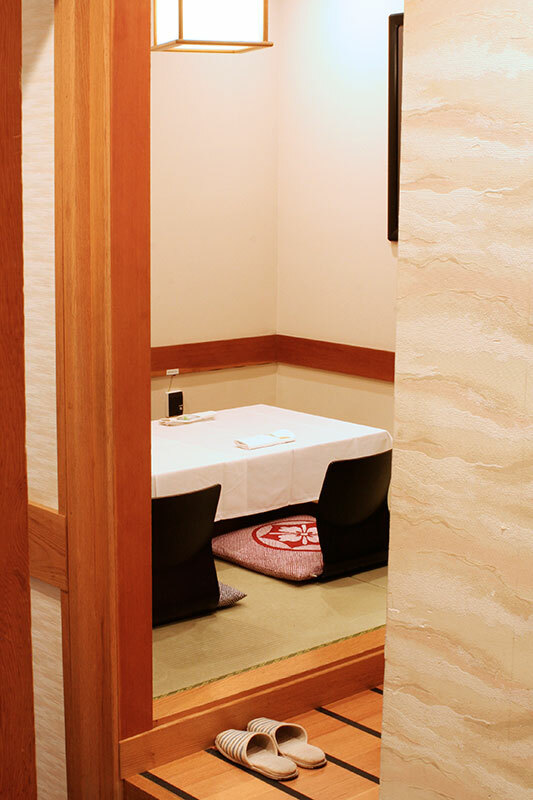 These traditionally elegant, and secluded private rooms are ideal for business meetings, special occasions, or times when privacy is a necessity. 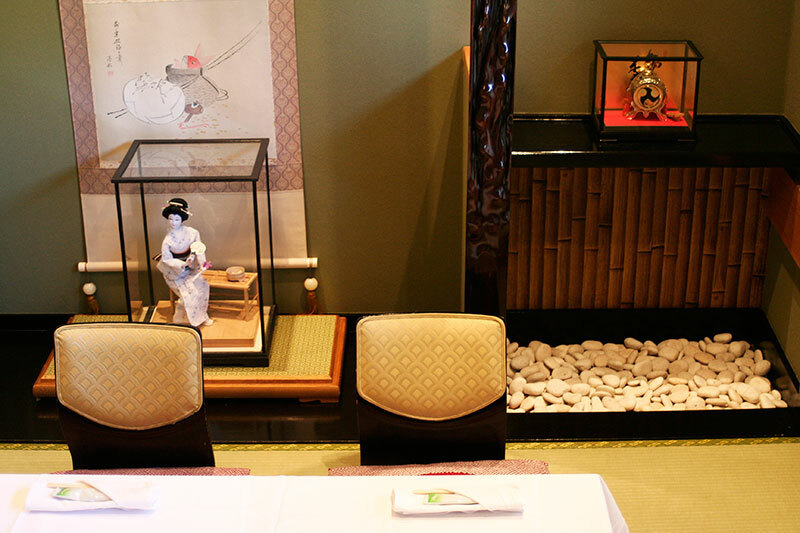 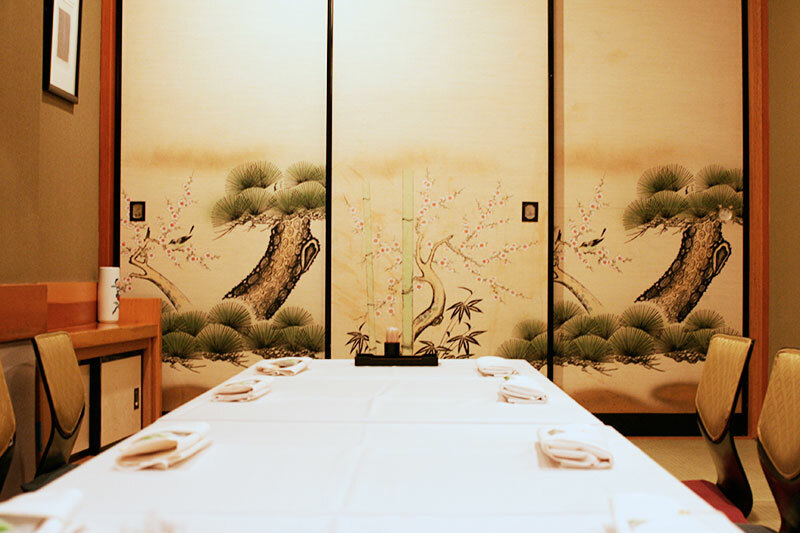 Decorated with unique Japanese flower arrangements (“Ikebana”), scrolls, and artwork, these Tatami rooms offer a luxurious dining experience. 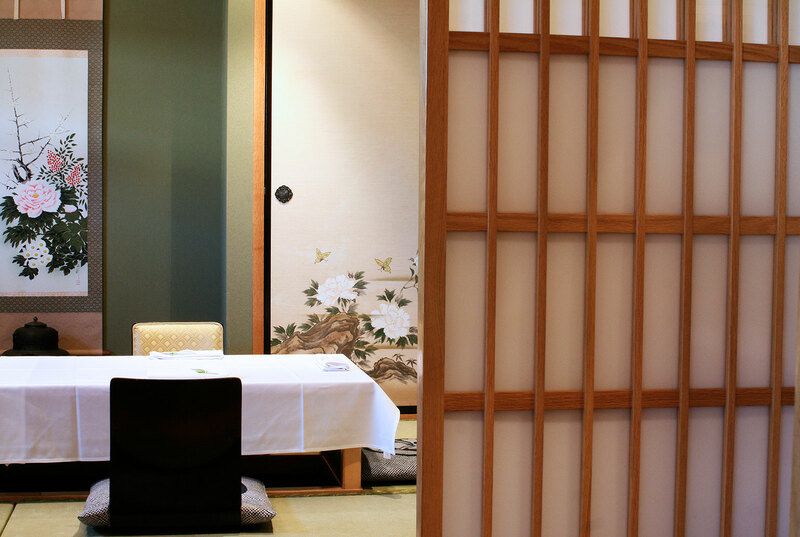 Each Tatami room is also equipped with a server call button, a well for comfortable seating, and sliding doors for absolute privacy. 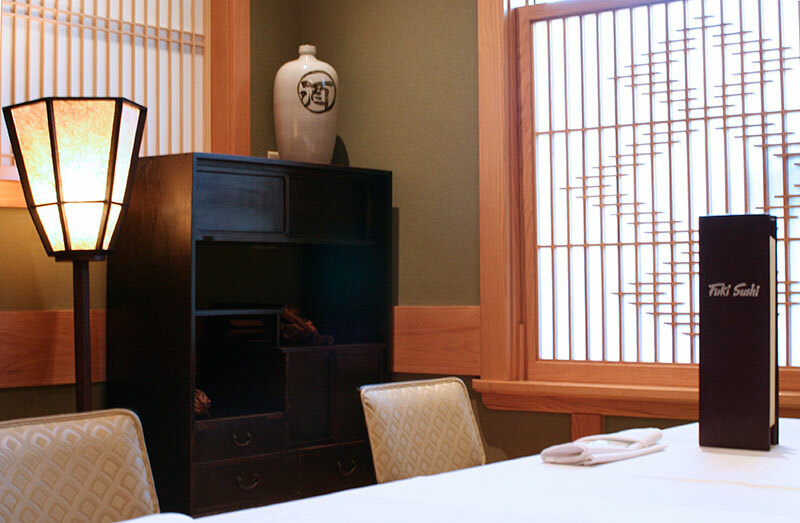 Individual Tatami rooms have occupancies ranging from 4 to 20 guests.